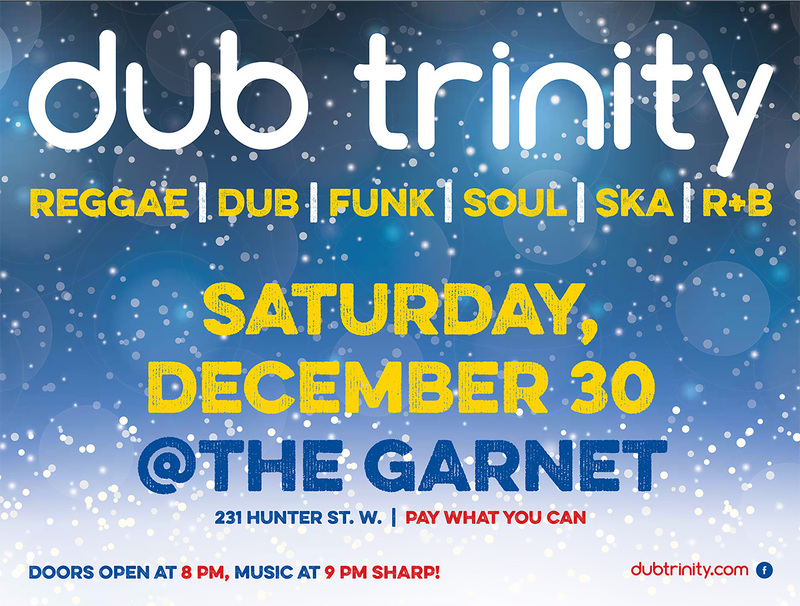 Address : 231 Hunter St. W.
Dub out 2017 one night early with Dub Trinity. 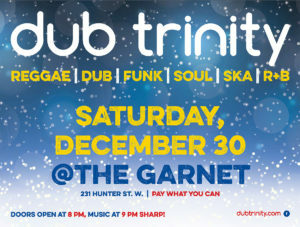 Doors open at 8 and music starts at 9 sharp. Pay what you can. We’re pumped to play Peterborough’s lone remaining tiny perfect nightclub!